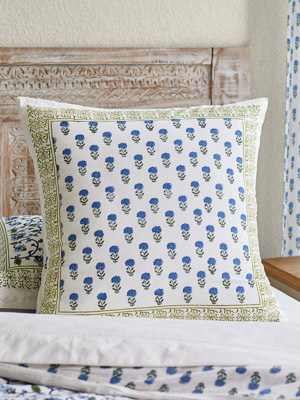 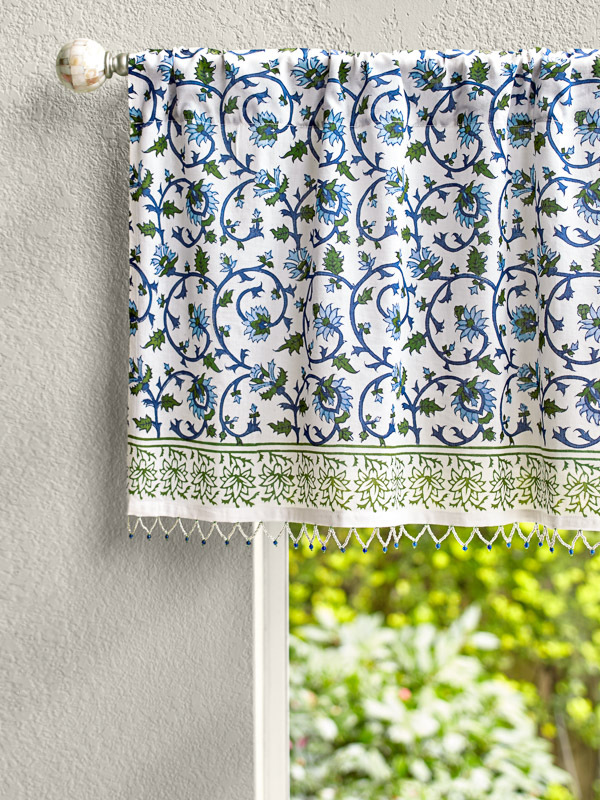 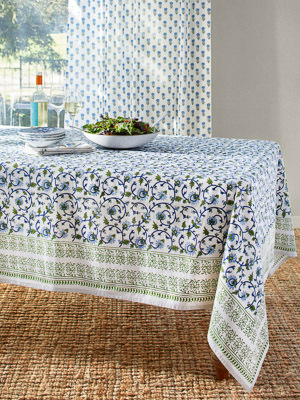 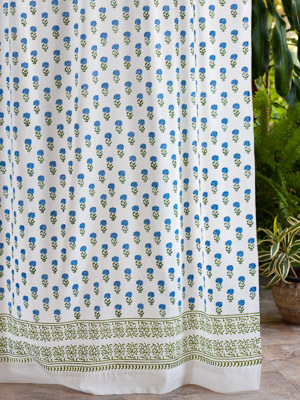 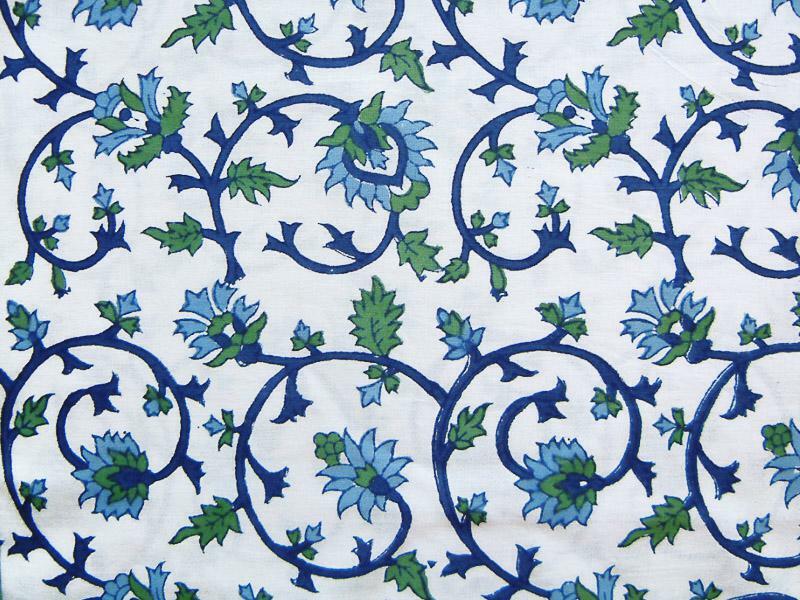 Pleasing blues and exotic pattern combine in this unique floral valance. 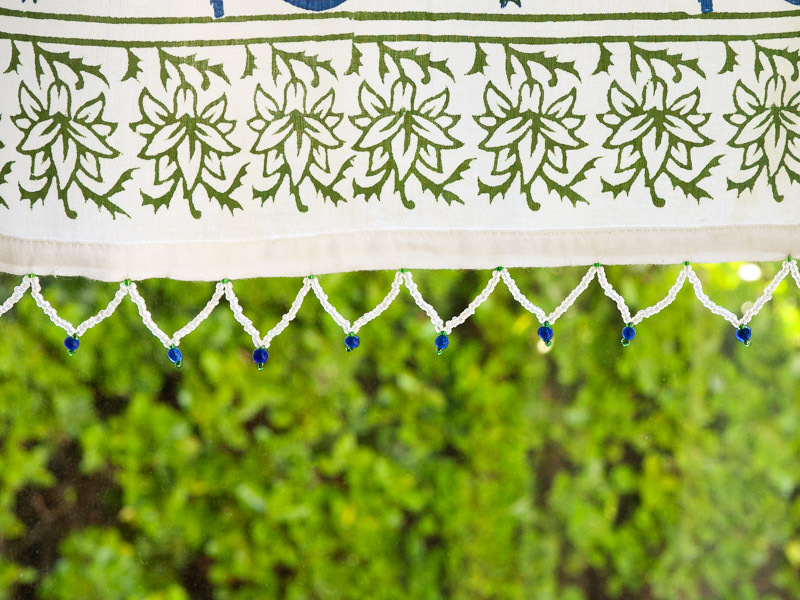 You'll love how light diffuses in our soft, white cotton and catches in the sparkly beaded trim. 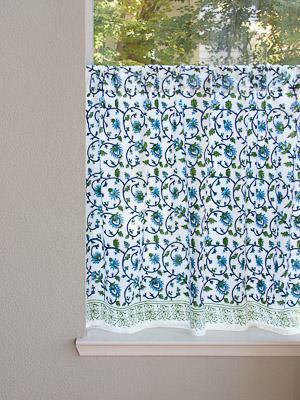 Use this valance with ... [ read more ] white sheers, or alone, framing a white trimmed window. 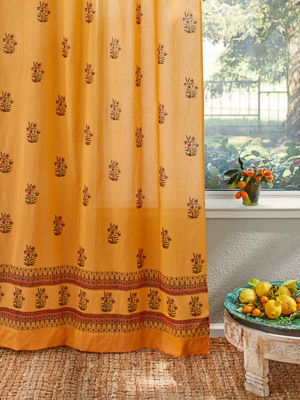 Moonlit Taj is perfect in a global inspired space, and its simple, fresh palette is wonderful in a clean, traditional space as well.